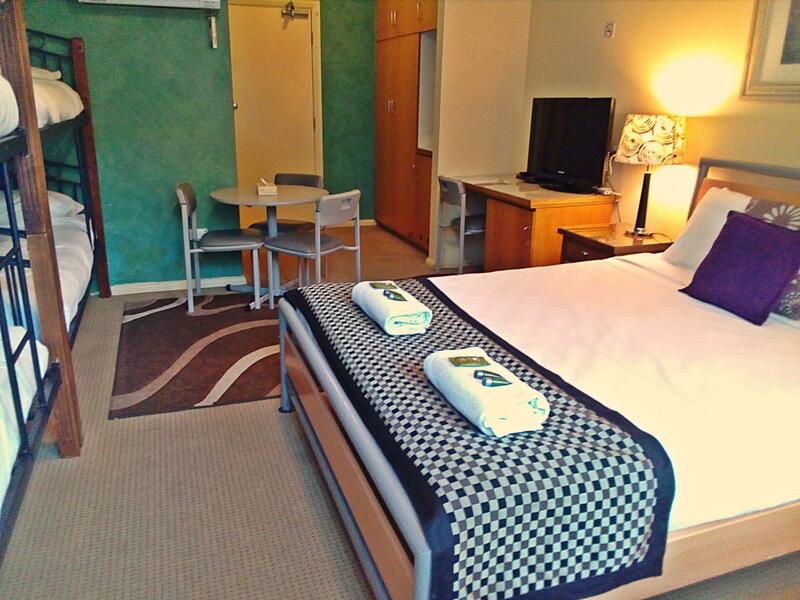 إذا كنت تبحث عن فندق بموقع جيد في أديليد، فقد وجدت ضالتك في Adelaide City Park Motel . إن موقع الفندق الاستراتيجي، الذي يبعد 1.4 Km فقط عن مركز المدينة، يسمح للنزلاء بالوصول سريعاً وبسهولة إلى العديد من الوجهات المحلية المثيرة. كما يمكن الوصول بسهولة إلى Gilles Street Market, SeaLink Kangaroo Island - Day Tours, مسرح رويالتي. يعمل Adelaide City Park Motel على ضمان إقامة مريحة لضيوفه من خلال خدماته الممتازة وحسن ضيافته. يمكن الاستمتاع بمجموعة من الخدمات على أعلى المستويات في الفندق كمثل واي فاي مجاني في جميع الغرف, مكتب الاستقبال على مدار الساعة, تسجيل وصول/خروج سريع, تخزين الأمتعة, واي فاي في المناطق العامة. استمتع بوسائل الراحة الراقية في الغرف أثناء إقامتك هنا. بعض الغرف تتضمن تلفزيون بشاشة مسطحة, اتصال لاسلكي بالإنترنت, اتصال لاسلكي بشبكة الإنترنت (مجاني), غرف لغير المدخنين, مكيف هواء لمساعدتك على استعادة طاقتك بعد يوم طويل. كما أن مجموعة الخدمات الواسعة الموجودة في الفندق لضمان راحتك تترك لك الكثير من الخيارات لقضاء وقتك أثناء فترة إقامتك. إن Adelaide City Park Motel هو مكان مثالي للمسافرين الذين يتطلعون إلى الراحة والاستجمام في أديليد. Good service. Car parking needs to be pre booked at an additional cost of $20aud. The room was clean other than the carpet stains. No cutlery or plates in room. On arrival at this place, we found that no one was at the front office to accept our registration. Instead we were to call a number and the person directed us to the wall with some boxes and were given a number to use to open the box where we found the keys to our room. Then we found the room to be unsatisfactory, so we complained and were transferred to a family room.. This room has a microwave, but no cutlery, no plates, even to cut some fruits to eat. In fact the only person we met was the cleaner who called in in the morning to check whether we have enough toilet paper. The front door and the back door are wide open all day and all night, and anyone can enter this property uninvited. This is dangerous. No wi-fi in the rooms and we had no access to the balcony, in spite of the ad in the website. This property is managed by phone from a distance and this is very unusual. We will not be coming back here, ever. 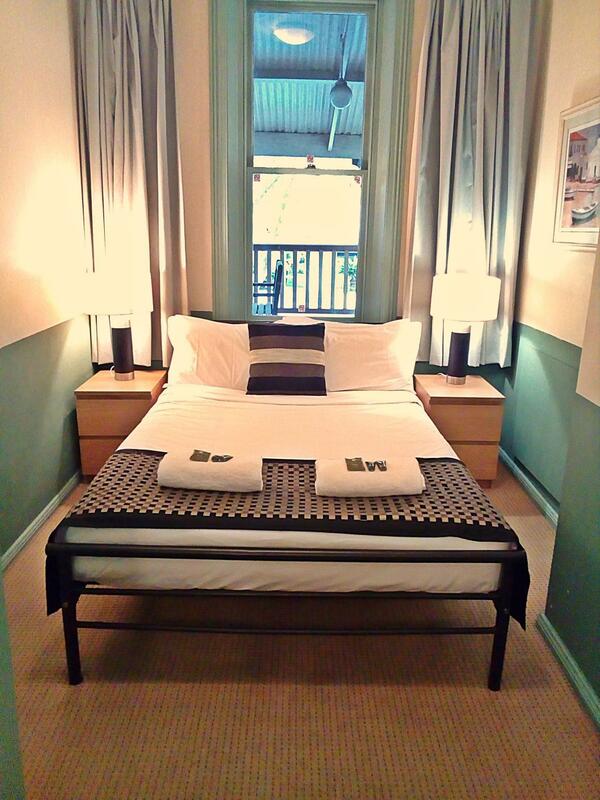 Originally booked share bathroom twin room but upgraded to Private bathroom double room on arrival. Pros: Staff Trish was wonderful, very friendly and helpful. Loved her very much! 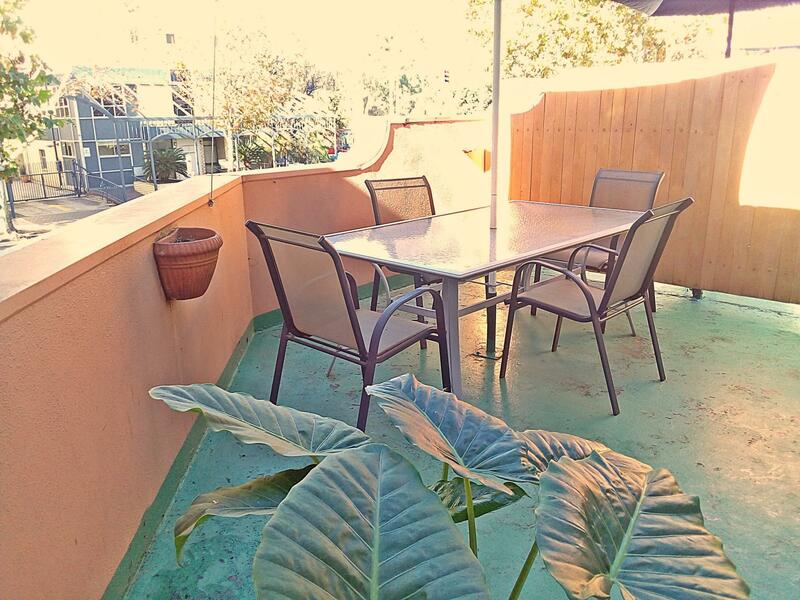 The location is great, easy access to the bus and has a few restaurants right downstairs. Main city centre is only 20 mins walk and the park is right across the street. TV and Air Conditioning worked well, bathroom was alright. Cons: the duvet was very stained, lots of large yellow patches (looks like urine). Best to ditch that duvet and get some new ones. We can smell a harsh chemical spray when we first checked in the room and it was very intoxicating (not fragrance but chemical smell). We couldn’t breath properly and coughed a lot for a few of hours. I had a reaction on my face after the first night. Patches of my skin was red and stings when I touch it. Overall, good value for money, great staff and location but the cons did outweighs the pros so probably wouldn’t stay again. My room absolutely stunk like cigarettes as if someone had just put one out. The carpets were sticky and stained and the overall cleanliness of the room was very bad. 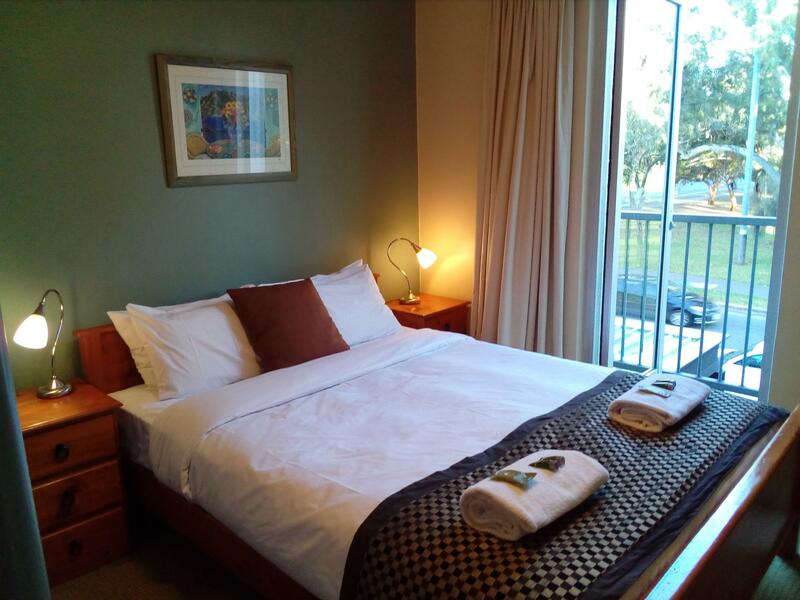 Located southern end of Adelaide CBD, it is a easy 10min or less walk to city trams. 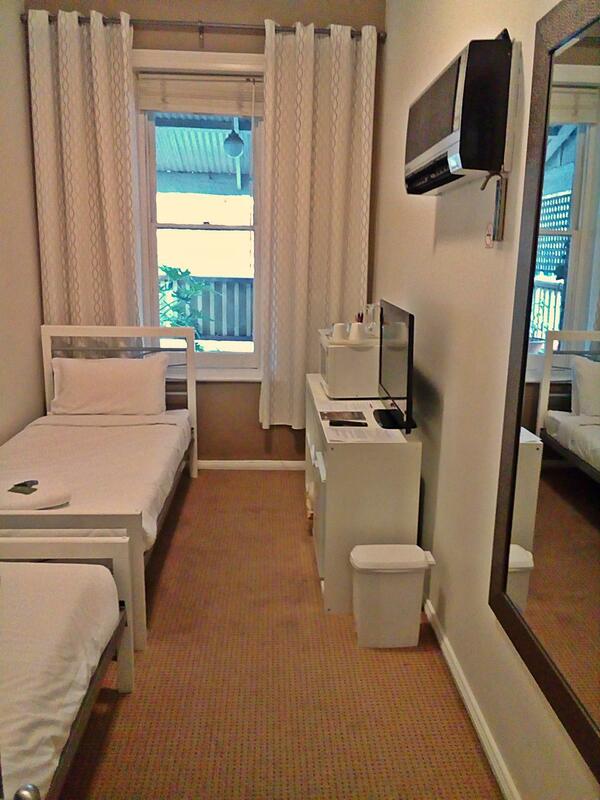 Easy 20min walk to Rundle Mall. 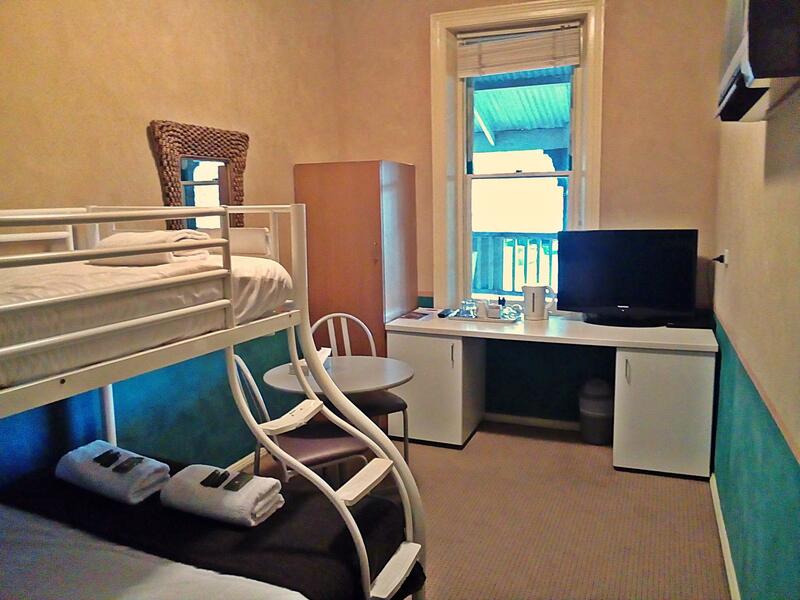 Older style accommodation but the room is clean, comfortable and quiet. Value for money. Staff was excellent. Very very helpful. Wonderful, friendly hosts. 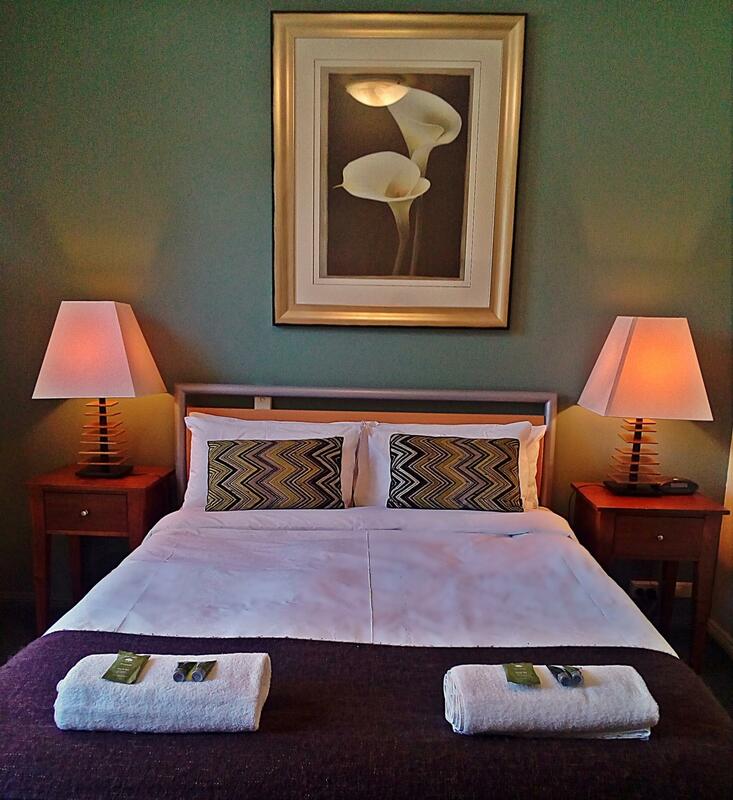 Clean, tidy and well appointed rooms. We were happy with our visit. 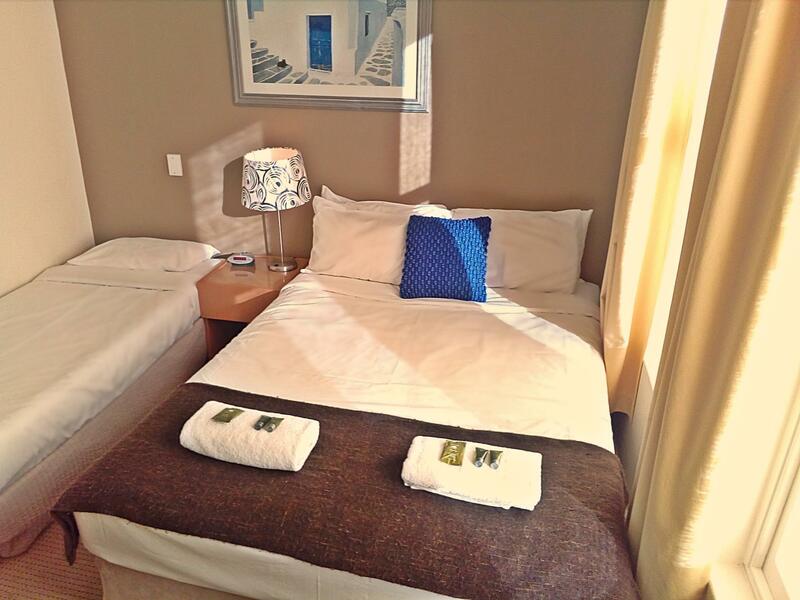 The beds are clean and comfortable, the bathrooms fairly new and well supplied. Was expensive for what it is. Although it is called a Motel it only has car parking facilities for 5 cars at $20 per day. Although I paid for 2 weeks parking I had to park on the street for 2 nights as the 5 spaces were full. New management was taking over so hopefully things will improve. There were no facilities for disabled people & unfortunately this is not reflected in the advertising. You have to climb steep & narrow stairs just to reach the rooms. 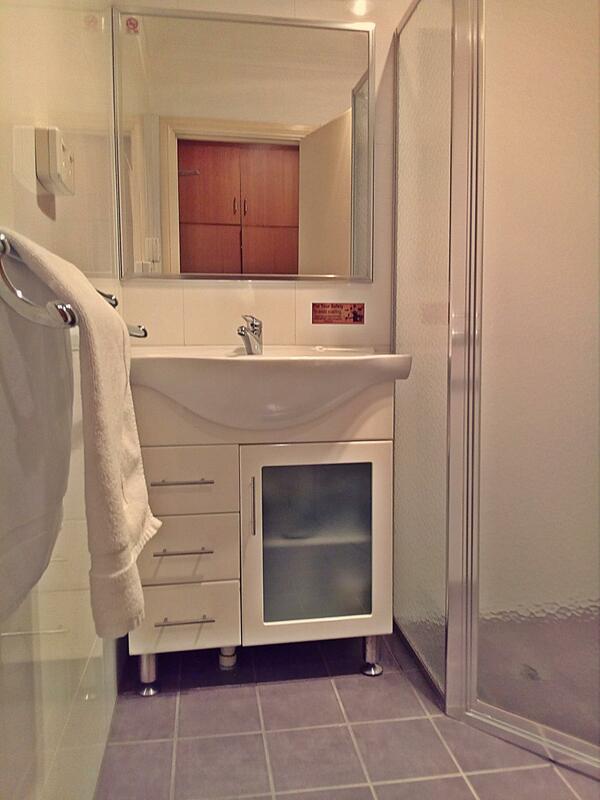 The bathroom is shared with all, that is one bathroom among all guests & the shower is in the bathtub. The carpet is well & truly overdue for replacement or a damn good clean. On the edge of CBD. Parking costs around 20 a day (I think, kinda awkward for a motel? ), but I was staying through the weekends so there was plenty of free parking on the street. Didn't have own bathroom / toilet. Internet was actually really good.